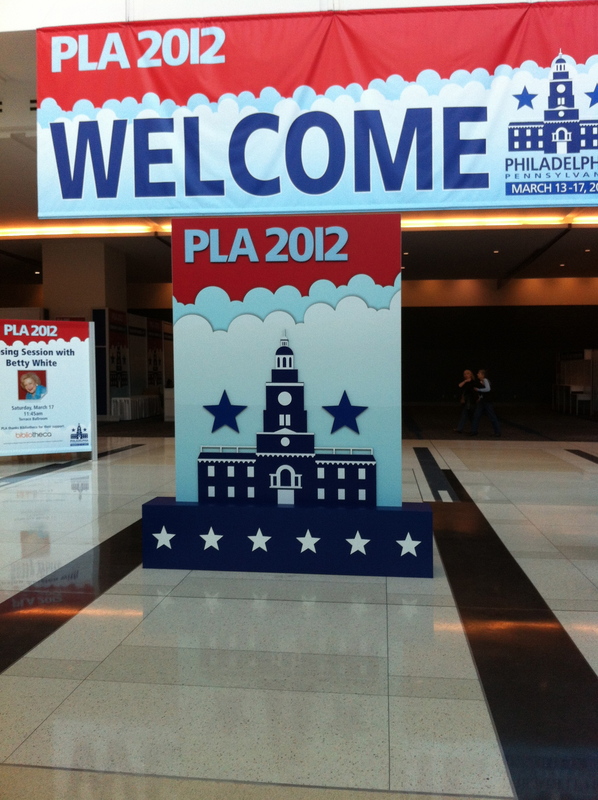 #PLA12 We received a lovely welcome to PLA and Philadelphia today. The weather was fabulous and the convention hall was decked out and ready to greet us. Since we preregistered, our badges and bags of information were there waiting. There are many excellent program choices for children’s services. New ideas keep us young for the kids. I am excited to hear about them and share a few with all of you. Author Kevin Henkes is speaking on Thursday. His session is the one I am looking forward to hearing the most. I have been using the PLA app to plan my days. It had been an excellent organization and information tool.